Mr.Ranil Wickremasinghe added whether the UNP is in opposition or in power it would work for stable peace in the country. He assured the party delegates attended the convention that they could see a UNP government in power by the end of this year. 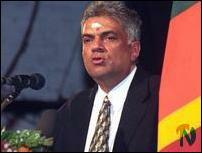 He further said the UNP was a party which took to the streets when democracy was in danger.